Looking for a little treat for your skin? Our body wash brings together Rosehip extract known for its soothing properties and the gentle notes of ethically sourced Patchouli oil. Go ahead pamper yourself with some tender love 'n care. This body wash is also cruelty-free, paraben-free, silicone-free, dye-free, sulfate-free, and formulated without phthalates. 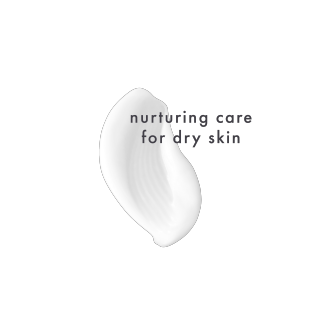 Want to care for your dry skin every time you cleanse? Yes please. Our most nurturing Body Wash with Rosehip and Patchouli does just that. Blended with Rosehip, known and loved for its skin-soothing, nourishing properties, as well as the gentle scent of our ethically sourced Patchouli Oil. Yep, your morning shower just got a little more beauty-full. Go on, pamper and indulge your senses with a kind-to-skin body wash that’s formulated without dyes, parabens, silicones or sulfates. rosehip & patchouli body wash is rated 4.3 out of 5 by 106. Rated 4 out of 5 by Anonymous from So about this product: I've reviewed a few different scents from this brand and loved them.. Rosehip and pachouli was no different! I enjoyed the scent so much it's floral but not overwhelming. I know this brand is on the higher end of drug store (about $8) but it is created environmentally conscious and lathers really well. I enjoy the feeling, it's so smooth! But I noticed that with this scent, I have a little bit of a tug or residue(or lack of, I'm not sure) when I'm done like when you use a bar of soap. Not as drying but it's not as soft when I use a shea butter based product. I will continue use and probably repurchase this scent.. definitely the brand! Rated 3 out of 5 by nicolef8 from I received this product for free to review from Influenster. I will start off by saying that I don't like the scent combination of rosehip and patchouli. Thankfully, the scent of the body wash does not linger as long as the scent of the matching dry shampoo, so I can tolerate using the body wash more. That said, you're going to want to skip this if you are sensitive to scents as it is still strong when initially washing up. A little bit definitely goes a long way. I also have hard water, so I am happy the body wash suds well. It also left my skin feeling soft and silky after use and not dry and tight like some other soaps can. These are good products, but they need to work on cutting back on the strength of their scents. Rated 4 out of 5 by natalian1 from I received this body wash complimentary from Infuenster. At first my initial reaction to the fragrance was "Hmm this is an interesting fragrance". But I actually grew to like it. I like that it fades to a mild scent that lingers on my skin for all day. I like that the texture is silky and makes my skin feel silky too. I definitely like the overall feel and fragrance which isn't as overpowering as the dry shampoo. Having said that I'm a fan of anything natural and the fact that it is all natural is a definite plus. I would certainly purchase it. Rated 4 out of 5 by elizabethdc5b1 from I got this for free from Influenster to review. At first sniff, I was worried as I don't like patchouli and it came off a little strong. In the shower, once you're using the product, it lightens and is pleasant. I prefer brighter scents- this one's kind of mellow and light, but I don't mind it. The wash itself is lush when it lathers and feels so soft on your skin- almost like a cloud. I feel so clean and refreshed after using it- it's an easy treat! Once this bottle is gone, I am very likely to purchase another, but maybe in a different scent. Rated 4 out of 5 by lisac3749 from I currently use Olay Total Effects 7 in ONE Deep Penetrating Moisture Body Wash as my staple body wash and this wash did not dethrone it. It was mostly the smell. The smell was way to overbearing for me. Im not sure if its just the fragrance used that maybe Im not a fan of or if the smell was just to potent. Either way, it just wasnt for me. However, as a wash, it did its duty. It lathered nicely and didnt leave me feeling dry or tacky in any way after I got out of the shower. I love the fundamentals behind the company, being vegan, and trying to reduce their carbon footprint so I would definitely consider trying this brand again but with a different scent. I received this product complimentary from Influenster in exchange for my honest review. Rated 4 out of 5 by kortneys1 from I really like this body wash. I am only giving it 4/5 stars is because I do not care for the smell. It reminds me of soap from when I was a little girl that was potent of roses. Aside from the smell its a light soap that doesnt leave your skin feeling rough with residue. Ive used it several times and have not been disappointed. After washing the soap off you get the slightest hint of floral which isnt bad, its just the initial smell before washing that is too potent for my liking. I received this product complimentary for an honest review. Rated 5 out of 5 by shaunc1 from I love this product. I think first and foremost, the size of the bottle, for the price, is a great deal. On to the smell...I was a little hesitant that I was getting a flowery scent because sometimes i think donouher scents are way too over the top and too strong of a fragrance. This however is a bet beautiful, mild rose scent. I thought it was perfect and is the perfect scent for February, the month of love. Finally, it left my skin feeling amazing, soft and smooth, even after the first time using. I could definetly tell a difference.